The last two weeks have been an intense challenge. 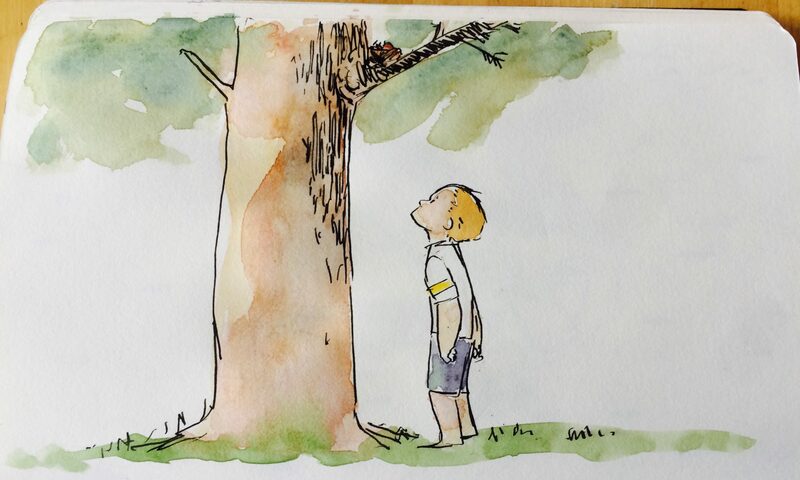 You have seriously been inspiring me with your #15minartchallenge participation. Keep up the great work! Last week my family and I made a huge decision. We are going west! Well, more west than we are currently east. By the end of this month we will have moved eight people and all their belongings 350 miles away from their current geographical position. Crazy. All that to say, the last two weeks, the rubber met the road. I definitely met resistance. Is 15 minutes of creativity worth the effort when you are dog tired? YES. I struggled with drawing this week, but the years of working fifteen minutes at a time has paid off. Here’s a recent piece I didn’t show on any social media. 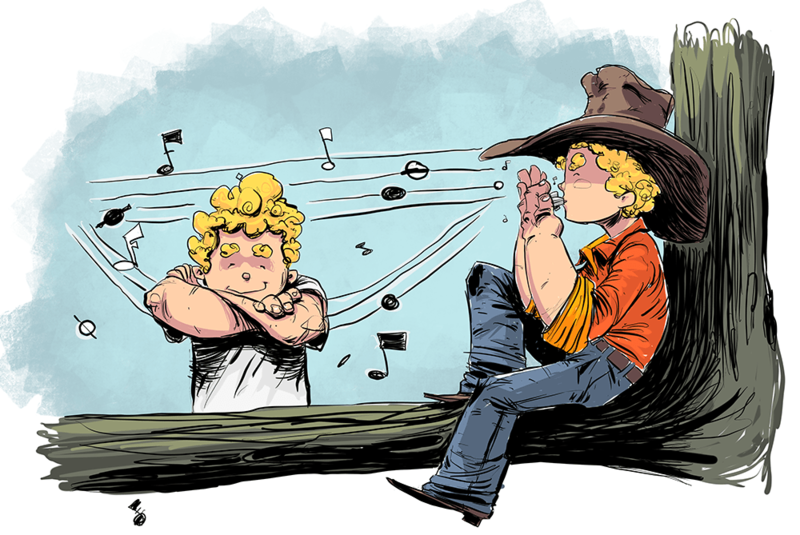 Tomy & Jon from my western fairytale webcomic. Is using the sparest of your spare time a worthy endeavor? It really is, but not because it always works out perfectly. It’s worth it because it’s more than about that one drawing we are working on at the time. It’s about a shift in our thinking. It’s a shift that says, in 15 minutes or even less, I can and get to do something meaningful. This exercise molds our habits and our priorities into pursuers of purpose, and trains us to be less wasteful of the time we have. Recently, for me, 15 minutes was hard to find without falling asleep first. 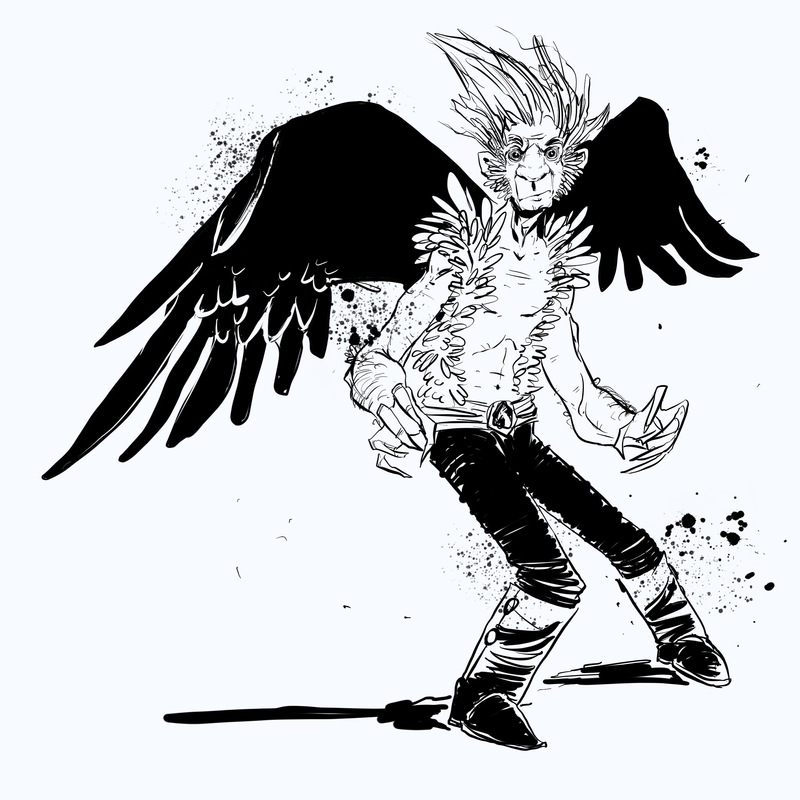 Then when I tried, I was unsatisfied with most of what came out. Some of the times I realized, OK, I tried and now I really do need to fall asleep. Other times, I decided to stick with it awhile longer. Both were good when seen through the lens of the bigger picture. What’s the bigger picture? Training our habits and mindsets through discipline and perseverance, a little bit at a time. So much to gain. 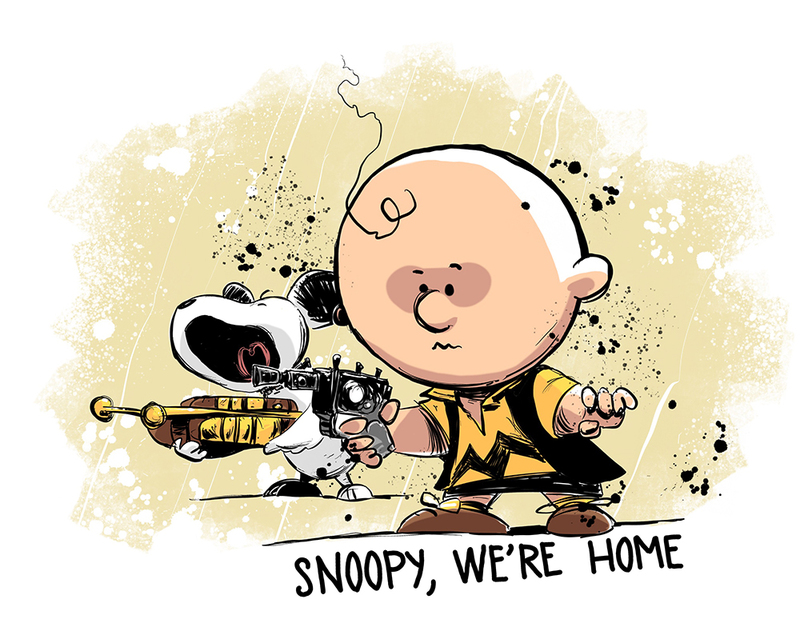 Limited Edition Signed Prints Available Here of Star Wars/Peanuts Mashup. Thanks Mr. Lucas & Mr. Schulz! Great job again everyone. I am encouraged by you. 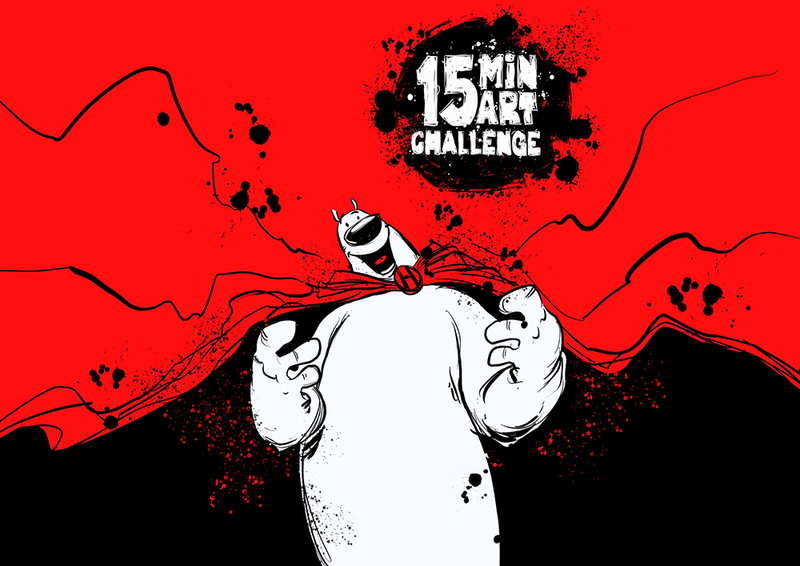 Check out the #15minartchallenge tag on Instagram and be encouraged by each other, feel the momentum, and create on. By the way, for those of you who still have any questions about the #15minartchallenge, I am creating a FAQ page. If you have questions or answers you think need better clarifying, please hit me up with your input here because you are probably not the only one wondering. So, if you ask and bring it to my attention, it will help me bring clarity for everyone. Thanks in advance! Also, here’s this week’s Adventures of Tomy and Jon free western fairytale webcomic strip: Subscribe to join the adventure here and have it come to your inbox. Have a great weekend & Keep Creating!